Credit is a facility offered to be repaid later. Credit can be extended to the co-operative society as an entity, normally from other institutions. it can also be extended to individual co-operators by their co-operative organization. Credit in financial form has a cost attached to it. This is in form of interest charged by the lender. SACCO societies should as much as possible utilize the members savings for issuing loans to them. When there is effective and efficient loan administration, members funds are adequate to form a revolving fund that ensures member’s demands are fully satisfied. Should it become absolutely necessary for a SACCO society to borrow for purposes of on lending to members, then the interest rate charged by the lender should be less than what the members are going to be charged. The loan should then be used solely for the purpose that it was intended for. Since societies are not allowed to invest their funds in non core business, no society should borrow for such ventures. Any credit from other institutions should be repaid as per terms of agreement. There should be no accumulated installments as these attract penalties and eventually the loan becomes a burden for the society. Members of SACCO societies should have savings in their societies as the first priority. Members should save as much as possible since this is their money refundable on ceasing membership. It is the first financial investment that is normally available to a member on leaving formal employment. As members continue saving with their SACCO societies, it becomes necessary for them to get loans for investment in worthy purposes. These purposes include investing in projects that will ensure a member a source of continuous income even after retirement. Before applying for loan, a member should ensure that he has planned well for utilization of the funds. It is no prudent to apply for and get loan money and then start planning for it. in such instances, the money is normally not used for purposes which will benefit the member in the long run. it ends up being for consumption. It is important to identify the project or projects that funds will be invested in before making application. Even if the money is to be used for consumption, it is better to plan for that purposes. It is not easy to plan for money when it is already with a member. It normally leads to impulse buying. As a member, do not overburden yourself with unnecessary loans. SACCO societies offer to members various loan products. Utilize the products only when it is necessary and when you actually require the funds. Do not involve yourself in loans just because you qualify for them. You should be able to trace how each loan product that you took was utilized and be able to identify the results and benefits. Emergency loans should be for actual emergencies and school fees loan for actual fees. After getting loan and effectively and efficiently utilizing it, repay the installments as per repayment agreement in the application form. never start defaulting because any defaulted amount becomes a burden and eventually distorts your development plans. 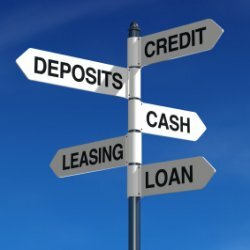 Sometimes a member may wish to enter into a project but the funds he qualifies for as a loan do not allow. Like minded members can come together, with each borrowing from his society, to raise enough funds and acquire the project. The members can later decide on effective and efficient utilization of the project.